Perfumery Note: Since Boldo is not used in aromatherapy, it's perfumery note is irrelevant. it is very effective as an antimicrobial agent. It kills microbes and inhibits their growth and is equally effective on bacteria, fungi, protozoa, or virus. Since boldo excels at countering infections, it can be used to protect wounds against septic and tetanus, which are typically caused due to infection by bacteria. Boldo kills intestinal worms (both roundworm and tapeworm) and their spawn. It can also be used to counter other worms such as hookworms. Gallstones, liver and gallbladder pain, cystitis, rheumatism, genito-urinary infections. Boldo is used in the perfume industry. Chemical Constituents: A-pinene, B-pinene, camphene, limonene, y-terpinene, p-cymene, ascaridole, cineole, linalool – the component ascaridole is considered responsible for its toxic behavior. 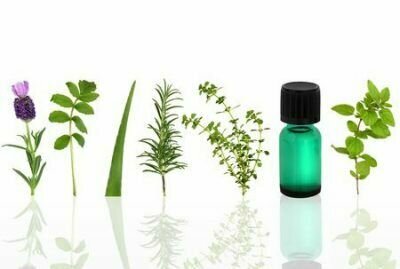 Companion Oils: Boldo is not used in aromatherapy, therefore there is no listing of companion oils. Precautions: Extremely toxic! Boldo should not be used in therapy and is considered harmful to the human body even when used in very small doses. Boldo is not a home remedy and should not be used, despite studying its applications on the symptoms given below. It is highly toxic and a even a slight dose can have very serious consequences.